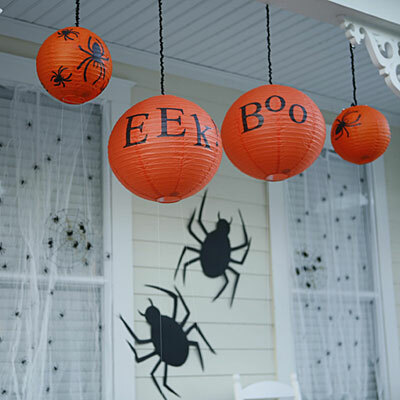 Last year Pottery Barn Teen sold some spooky paper lanterns for an equally spooky price. I came across this picture of them and it reminded me of some fun DIY Halloween paper lanterns you can make yourself for a fraction of the cost. Who doesn't love a good Pottery Barn Knock Off? 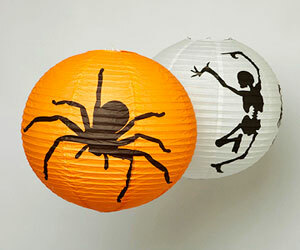 Using a template, a sharpie, or some black paint, you can turn regular solid color paper lanterns into fun Halloween paper lanterns like these from The Haunting of Ivy Hall. 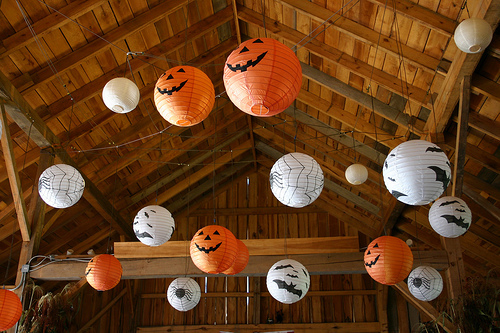 Or these Halloween lanterns from All You. 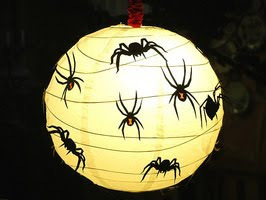 The DIY Network goes a little creepier with these DIY Spider paper lanterns. 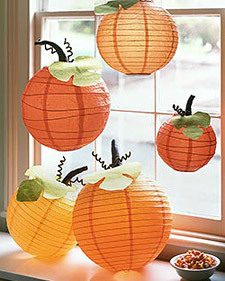 And if you want something less spooky, Martha has a tutorial and pumpkin leaf template for these pumpkin paper lanterns. love all of these. I think paper lanterns may be one of my favorite decorating items!